Storybook Mountain Vineyards, perched high above northernmost Napa Valley on an eastern slope of the Mayacamas mountain range, boasts an ideal eastern exposure shared by many of the world’s greatest vineyards. Our award-winning wines enjoy a worldwide reputation for quality. 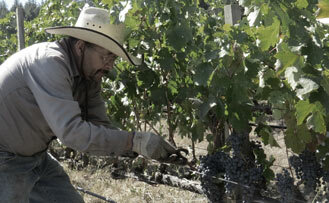 Storybook Mountain wines are hand-crafted from grapes grown on our certified organic estate. The wines are gently handled and aged for a minimum of 12 months in the finest French and American oak barrels inside 130-year-old caves dug deep into the volcanic rock underlying the vineyard. 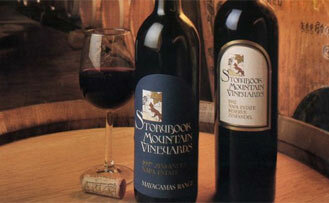 In 2015, Wine & Spirits Magazine, for the 12th time, named Storybook Mountain one of the Top 100 Wineries of the World. Our estate red wines, redolent of raspberries, black cherries and spice, are renowned for their intensity, elegance and longevity. Storybook Mountain Vineyard is located at the top of Napa Valley, on an eastern slope of the Mayacamas Mountain Range whose ridges separate Napa from Sonoma counties. The land and the weather come together in unique ways in our vineyard, enabling us to craft award-winning wines from our organically farmed estate grapes. 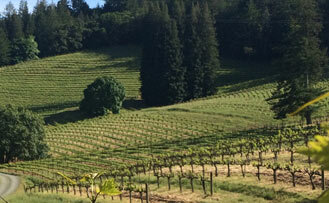 Famed wine critic Robert Parker has described Storybook Mountain as "representing the pinnacle of wine quality in California" and one of the six best zinfandels in the world. We are consistently rated among the top 100 wineries in the world by Wine & Spirits magazine. We invite you to visit Storybook Mountain and enjoy a walking tour of our organically farmed vineyards, followed by a guided tasting of Storybook wines in our 125-year-old wine caves. Tours and tastings are by appointment only.